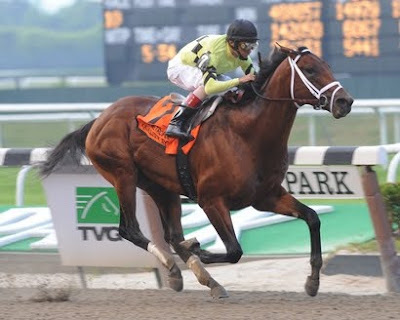 Memorial Day may be a memorable day for thoroughbred breeders in the Old Dominion as two Virginia-breds captured Grade I stakes races on both coasts. 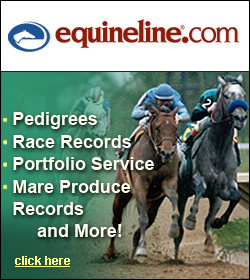 One Virginia-bred winner was a virtual guarantee when Quality Road won the Met Mile at Belmont Park. The other was a surprise when almost three hours later Victor’s Cry closed hard on the outside to wrestle the Shoemaker Mile at Hollywood Park on the turf. Quality Road, bred by Edward P. Evans, won by a length and a half with John Velazquez aboard and is trained by Todd Pletcher. He is sired by Elusive Quality out of Kobla by Strawberry Road (AUS). Victor’s Cry, bred by R. Larry Johnson’s Legacy Farm, won by a head with Corey Nakatani aboard and is trained by Eoin Harty. He is sired by Street Cry (IRE) out of Short Time by Clever Trick. To watch the replay of the Shoemaker Mile, click here. To watch the replay of the Metropolian Mile, click here.